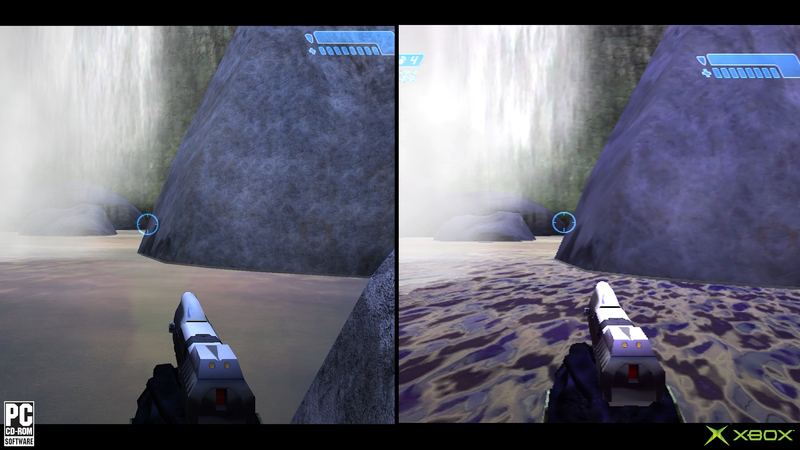 »Forums Index »Halo Custom Edition (Bungie/Gearbox) »Halo CE General Discussion »Today I woke up and decided to play Halo PC again and look at me now..
Was surprised to see the game is still alive and thriving in its own little way. Lots of recent comments and so much content to DL today woohoo! Just wanted to throw my <<S>> in at this community for keeping this wonderful game going. Right now im DL campaign maps and about to study up on tutorials. I guess the #1 question of every players mind when they come back to this game would be if multiplayer is still alive or am i going to need to find some designated server IP's? And recommended, HAC2 that allows some amazing features in multiplayer. Hey thx fo the info. Its not perfect (though it is considered an improvement to the original port), and I am actually in the process of redoing my tag set. Also, CMT released the first half of SPV3 (SPV2 got cancelled). However, that will require Open Sauce, which conflicts with HAC2. And a sub-team of CMT rebuilt the 5th level, dub 'The Silent Cartographer: Evolved". A version of it is included in SPV3, but, also had a standalone release a year or two ago that plays differently. You should also look up Universal UI. Unlike most UI.map replacements, it actually adds support for selecting user-made singleplayer levels, on top of the stock campaign. I think I've seen your name on a few maps here on Halomaps from long ago. Hope one day you make anniversary version. This is awesome. I'm going to play through this tonight as I've been wanting to replay Halo: Combat Evolved's original Xbox version for awhile now. Did you just assume my species? How dare you!? Are water shaders fixed as well? Not sure if it necessarily needs fixing, I think the PC version actually looks more realistic than what the xbox has, those waves make no sense in that environment. You might be right about realism but I think the Xbox version looks way cooler. And this is a video game anyway. Yeah but it's better to not have stuff that takes you out of the moment, looking at that old water shader now just looks weird. Time: Tue April 23, 2019 11:16 PM 328 ms.